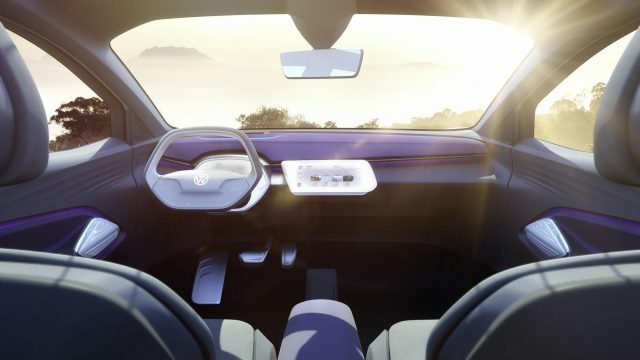 VW is getting ready to introduce one more I.D. electric concept car at the upcoming 2017 Shanghai auto show. 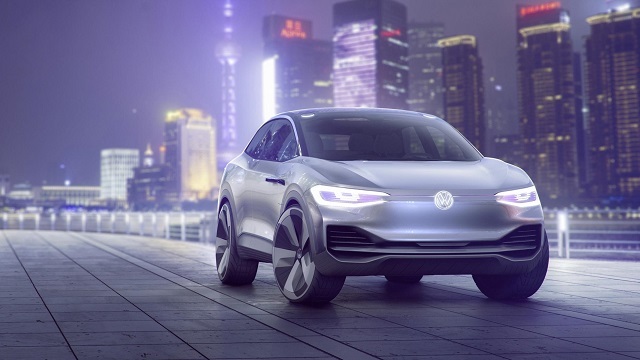 More precisely, China’s biggest city will host the Volkswagen ID Crozz electric SUV concept that’s going to explain in which direction will go the development of VW’s future crossovers. As you may remember, the car manufacturer already introduced the I.D. Buzz minivan at the last NAIAS, as well as the I.D. hatchback at the 2016 Paris auto show, so the preview of the all-electric SUV was just a matter of time. 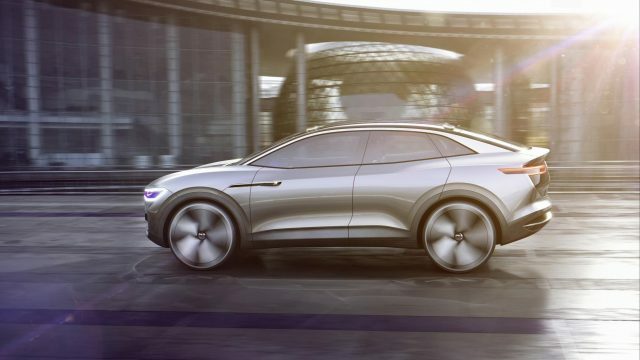 According to the carmaker, the Volkswagen ID Crozz electric SUV concept will use the MEB platform for compact electric cars. This way, the high riding vehicle will get a system that combines two electric motors. The front axle uses the electric motor that produces around 101 horsepower and 103 pound-feet of torque, while the rear wheels get significantly more power. In the rear, the crossover features the electric motor that delivers 201 hp and 229 lb-ft of twist. This is basically an all-wheel drive system, but the ID Crozz electric SUV normally uses just rear wheels. However, when sensors detect loss of traction, the front axle helps with its smaller electric motor. Of course, the driver can choose AWD mode. In each case, the top speed is limited to 112 mph. 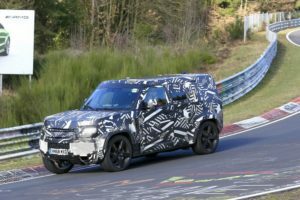 The motors draw power from an 83-kilowatt-hour lithium-ion battery, which lies in the SUV’s floor. 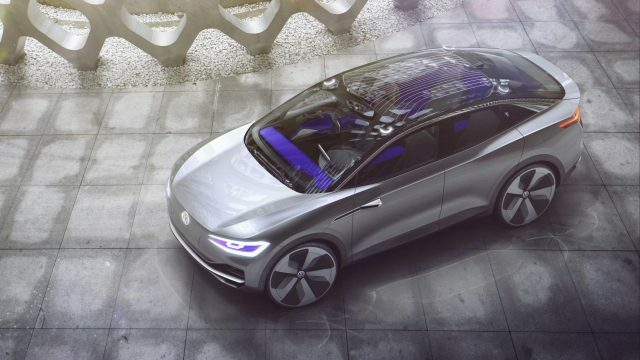 According to VW, the electric crossover is capable of crossing up to 311 miles on a single charge (European cycle). The battery sports a high-speed charger that enables 150-kilowatt charging capacity, and charges around 80 percent of capacity in only 30 minutes. 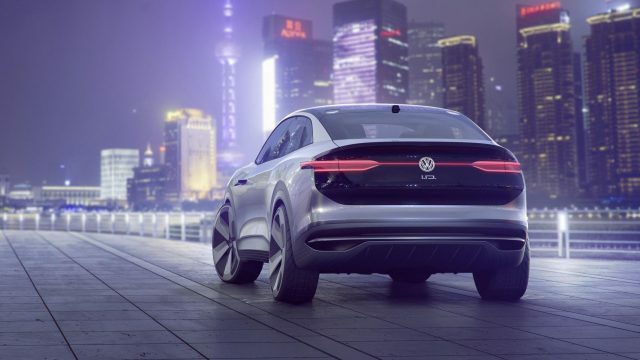 The Volkswagen ID Crozz electric SUV sports almost the same footprint as the long-wheelbase Tiguan. Okay, it’s 3.0 inches shorter, but it’s also 2.2-inch wider, but the carmaker made it very cozy inside due to clever positions of the seats. However, what’s more important, the vehicle previews some really amazing functions such as new interface and self-driving technologies. The concept SUV features touchscreens, gesture and voice controls, as well as a multifunction steering wheel. There is also a useful camera-based electronic rearview mirror and a head-up display. 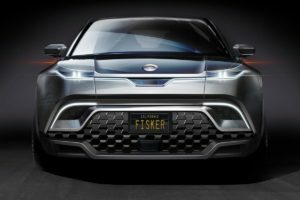 The concept SUV gets a self-driving system too. This so-called I.D. Pilot mode works with laser sensors, ultrasonic and radar sensors, 3D maps, side area view cameras and a front camera, which makes it very precise and safe. In case you want to take the control again, you can simply touch the logo on the steering wheel, or to press brake or accelerator pedal.